If any player has been raising eyebrows in the opening games of the Barça 2016/17 season, then that player is Arda Turan. The Turk has hit on some stunning form and the numbers show it. He was only on for the last half hour of the game in Mönchengladbach, and yet still found time to score his fifth goal in nine games and do more than enough to be named UEFA Man of the Match. With Barça trailing when he came on, the goal was the turning point in a game that the Catalans ended up winning to take outright top spot in Champions League Group C.
Luis Enrique has used the former Atlético player in nine of the ten official matches played to date – six of those as a starter. 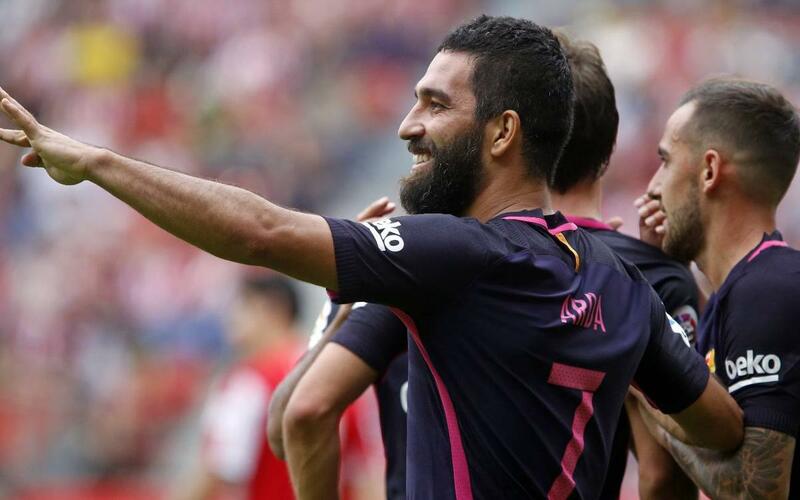 Arda Turan was outstanding in the Spanish Super Cup win against Sevilla, scoring twice in the second leg at the Camp Nou. He was also on target in the 6-2 win on the opening day of La Liga, and again last weekend against Sporting Gijón. But it’s not just because of his goals that the 29-year-old is catching the eye. He has also provided four assists this season. Indeed, he’s proving to be an excellent alternative in the trident, standing in for Neymar Jr when he was away in Brazil, and now also for the injured Leo Messi. It all amounts to a spectacular advance on his first half-season at the club. Last term he played for 1,174 minutes in 25 games, scoring twice and providing four assists. In 2016/17, he’s already had half that amount of playing time, 589 minutes, and has played a direct role in nine goals. Long may his excellent form continue!